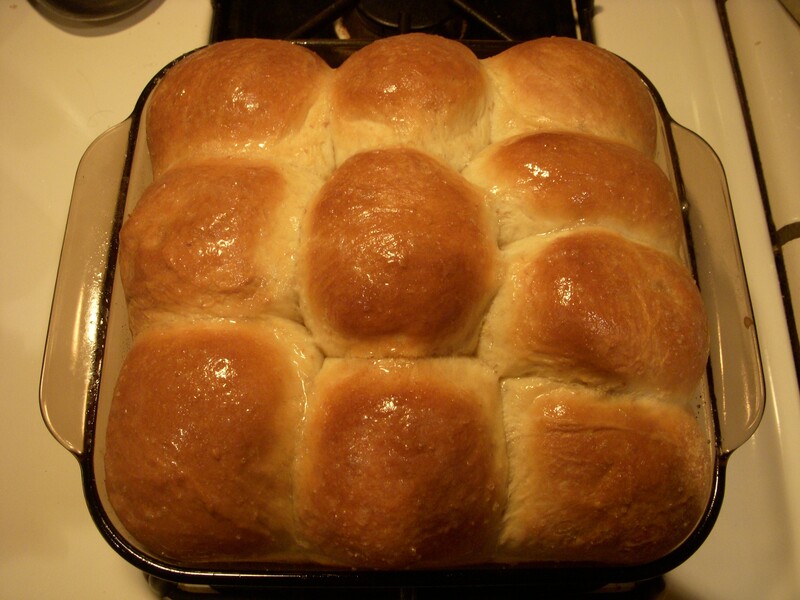 These rolls remind me of grade school. One sniff send you back to the days when the net-haired women of the cafeteria would plop one on your tray. Add any fresh herb, and you have a new monster. Raisins and cinnamon, or slightly sautéed garlic… this is one versatile dough! 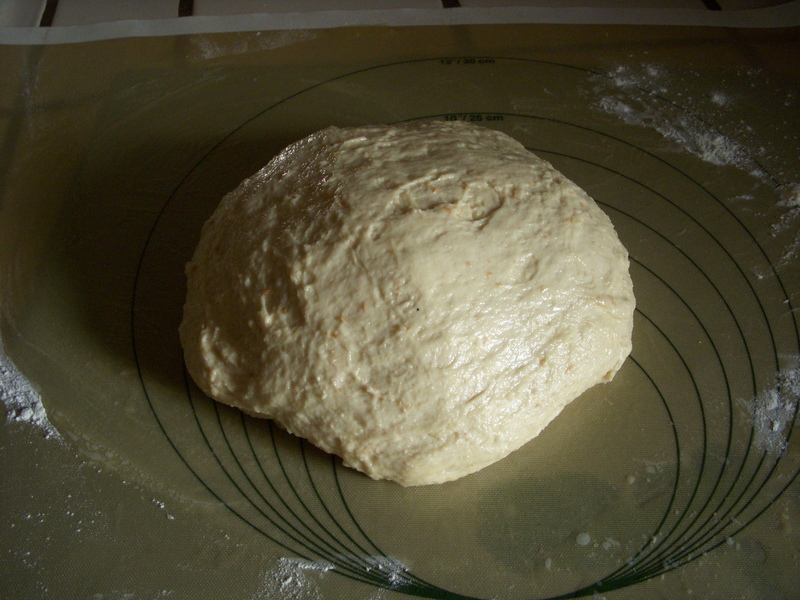 Once again I make the dough in the bread machine on the dough setting. It really makes everything easier. I LOVE my machine, and I can’t emphasize that enough. Lets get to mixing since I can’t wait until the smell of warm baking bread fills the house! Start by dissolving the sugar into the cup of warm water. 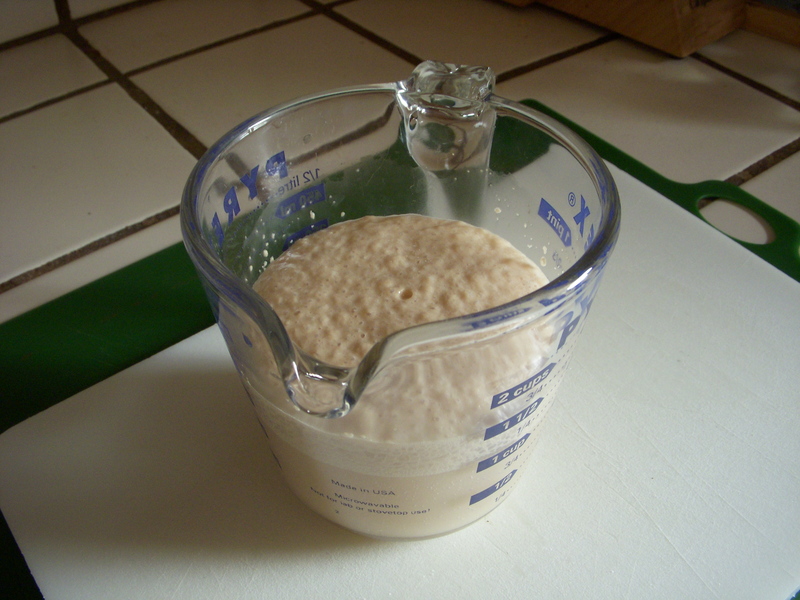 Once it is dissolved, stir in your yeast and let it sit until it’s frothy, approximately 3-5 minutes. Could be more, could be less so keep an eye out! This is what frothy should look like. 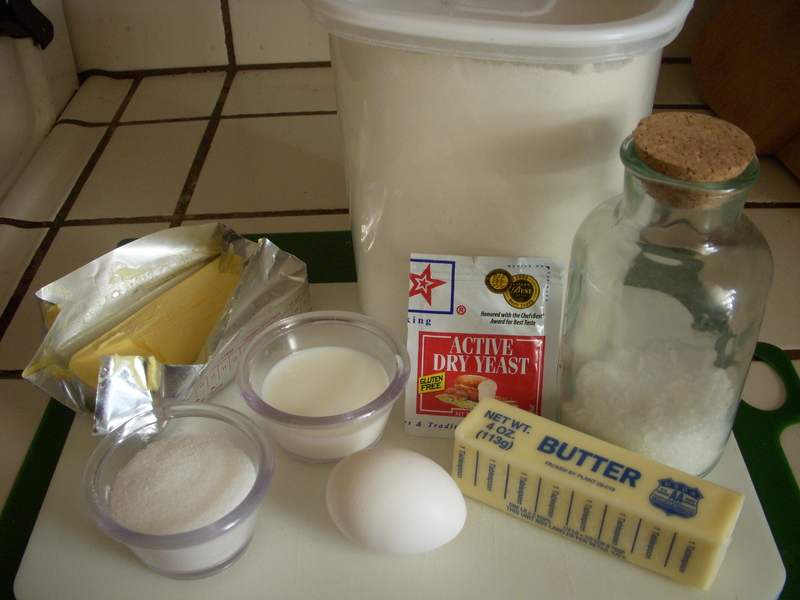 Pour yeast mixture into the bread machine, add eggs, milk, flour, salt, and shortening. Add in wheat bran at this time, if you chose too. I do, because it makes me feel better about myself. Or at least better about my rear. 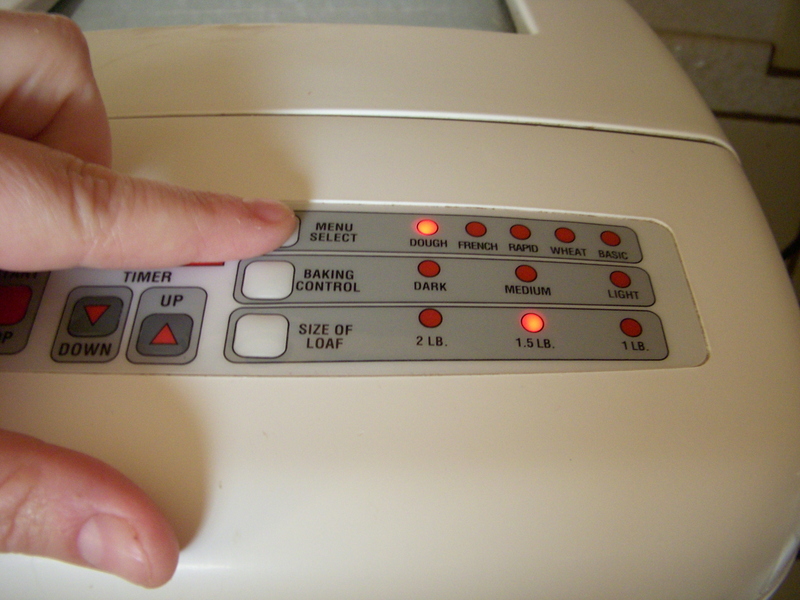 Use the dough setting on your machine. Press start and walk away. 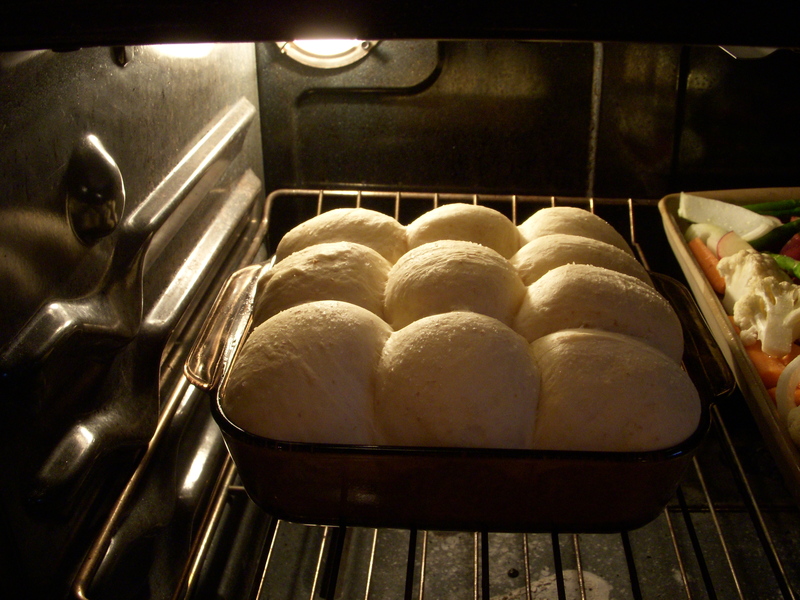 Most machines have a dough setting of an hour and a half for a 1.5 pound dough ball. 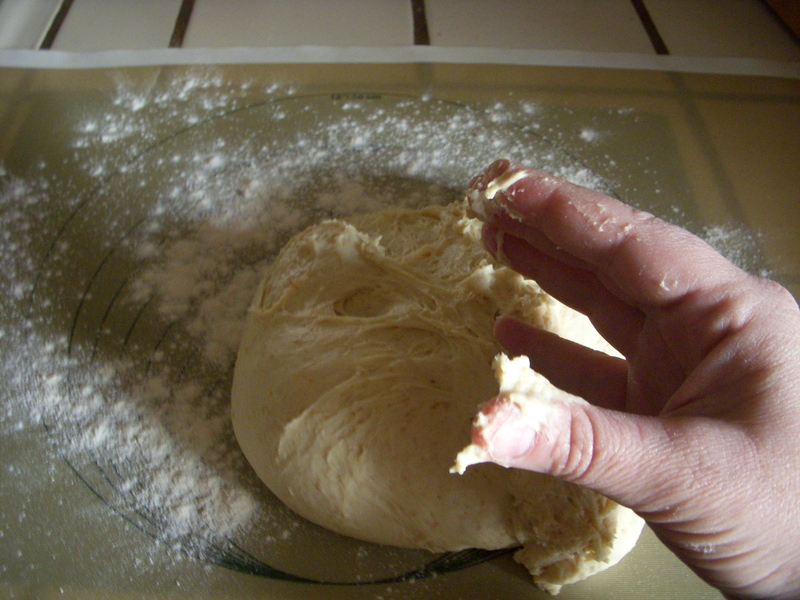 Once your machine beeps to tell you that your dough is done, dump it out onto a lightly floured surface. Grease or spray down a 9×9 inch pan with cooking spray and set aside. 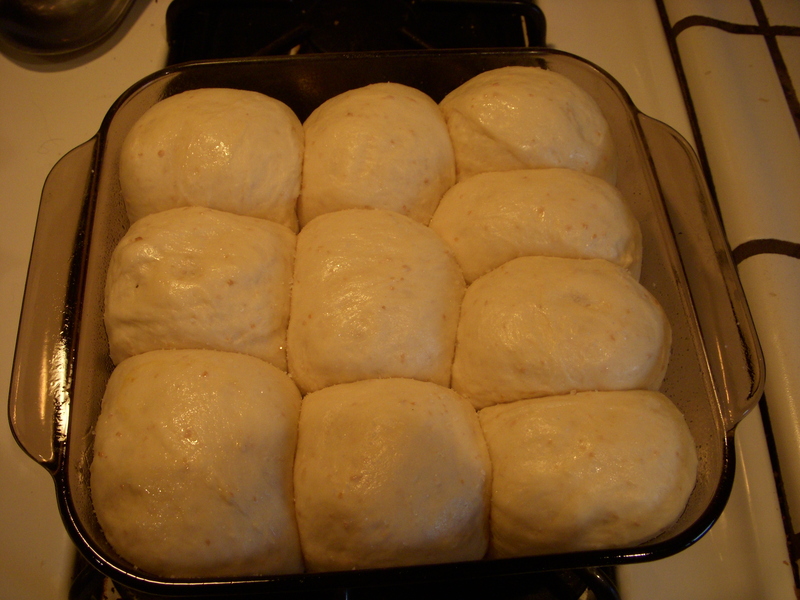 Cut the dough ball into 9 or 10 equal pieces and form each piece into a small ball. 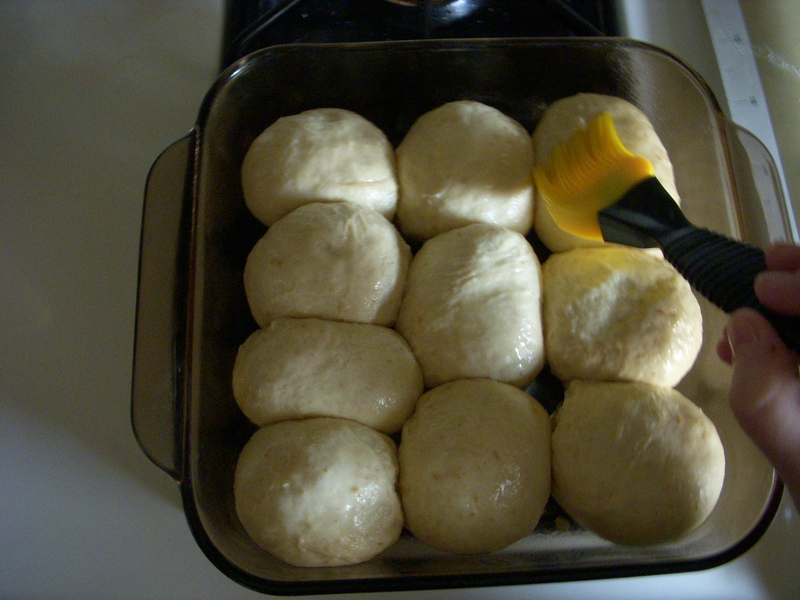 Arrange in the pan (the dough balls will be touching) and brush with any excess melted butter. MMMMMMmmmmm… butter. Food of the gods. I am a dairy girl at heart. Preheat your oven to 400 degrees. Cover the pan with plastic wrap and put in a warm spot to rise until doubled in size. Depending on how cold your house is, this could take anywhere from 15-30 minutes. They should look like this. These are going to rise even more in the oven!! See I told you. Bake for 30 minutes until golden brown, then open your oven door to warm bread heaven. I’ve brushed these with some more butter, of course!! !